Deadheading is the process where gardeners remove faded blossoms and the developing seed heads in order to keep flower pots, window boxes, and a landscape looking fresh and healthy. It's a simple procedure that also encourages you to slow down a moment to enjoy nature and maybe a conversation with a helper. Even low-maintenance landscapes usually include a few plants that will benefit from this simple act of care. Petunias used to require deadheading to promote season-long blooms. The process of deadheading is very simple. Pinch or cut the stem of a dead blossom just below its base. Removing only the petals isn't enough because seeds form in the base of the flower. Use pruning shears or garden scissors to snip thicker stems. Some plants with a spike of flowers, such as hosta, will look better if you remove the entire stem above the first leaf. Repeat the process, removing all the dead flowers on a plant. If you're caring for potted flowers or window boxes, take a few moments to deadhead whenever you water the plants. 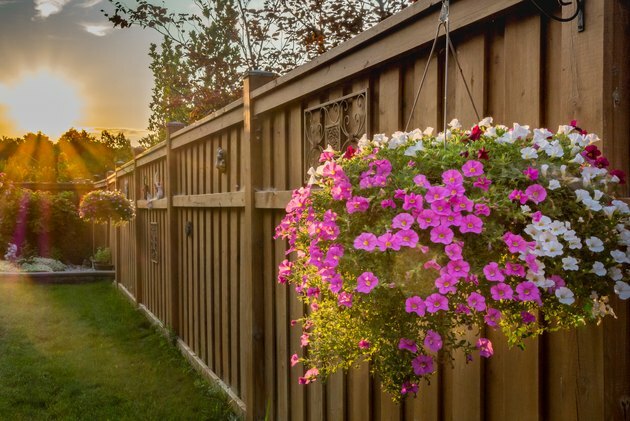 If you have flowers in your landscape that require deadheading, you can either spend a short amount of time each week deadheading plants as needed, or wait until all your plants have bloomed and then deadhead the entire flower bed. Your approach will likely vary from year to year as time permits, although experienced gardeners usually prefer short weekly sessions so the task is a labor of love rather than forced labor. 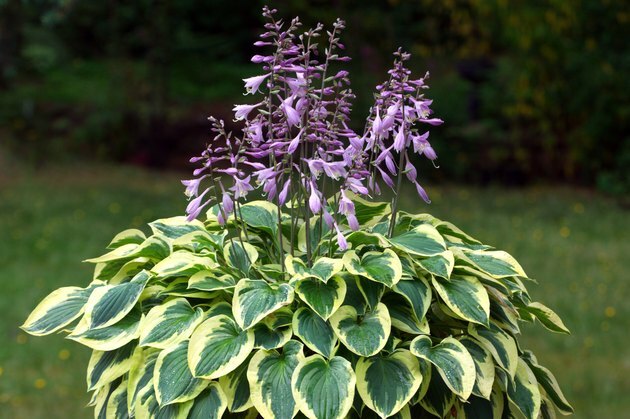 Keep hosta looking lush by removing the entire stem of dead flowers. Deadheading also prevents free seeding of plants all over the yard, and it can prevent hybrid plants that self-seed from sprouting new plants that don't resemble the parent. For example, if you plant a uniquely-colored coneflower hybrid, the self-seeded child plants can revert to the standard purple coneflower and overwhelm the plants you originally planted. Of course, free seeding is a desirable trait if your landscape includes a natural meadow or prairie. Not all flowers need to be deadheaded. Some people choose to leave sedum through the winter to add interest to their gardens. Coneflowers and black-eyed Susans provide seeds for birds. However, the seeds can also attract small rodents who are foraging for food. Again, what plants you decide to deadhead or which you leave alone can vary from season to season. Experimentation is part of the fun and wonder of gardening.